State Street and its recently acquired systems and data subsidiary, Charles River Development, have entered into a co-operative arrangement with the risk management specialist and research firm Axioma, whereby the three will integrate their analytics, allowing them, collectively, to cover most or all front, middle and backoffice tasks. The partnership will integrate Axioma’s risk and portfolio analytics into the Charles River ‘investment management solution’, a front-and-middle-office platform. As a result, Charles River clients will benefit from access to Axioma’s full suite of factor models and portfolio optimisation capabilities directly within the Charles River IMS, State Street said in a published statement last week. For Australian investors, the deal will enable firms to identify, measure and reduce risk in a single ‘solution’, with compliance rules and optimisation coupled with portfolio management, risk and attribution capabilities as well as Axioma’s factor models. Charles River struggled to gain traction in a business sense in Australia prior to its purchase by State Street, for US$2.6 billion in July last year. Its services were seen as too expensive for the local market and its marketing was not especially energetic. The Melbourne office, while looking to cater to the biggest potential market in the region – Australasia – was seen as subservient to Hong Kong and Singapore. 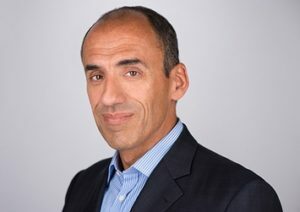 John Plansky, the Charles River chief executive, said last week: “When State Street acquired Charles River in October 2018, the intent was to develop the industry’s first-ever front-to-back investment management and servicing platform that could support the deep enterprise data aggregation and management, analytics and compliance needs of our clients.